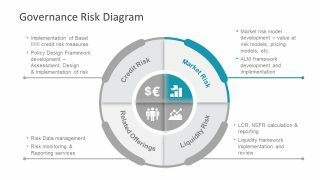 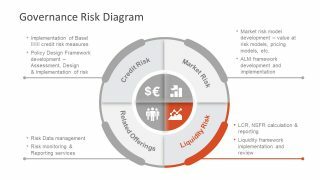 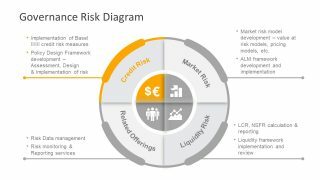 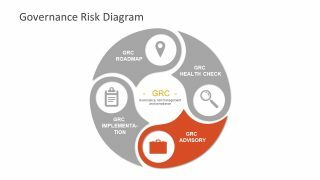 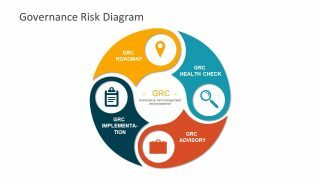 The Governance Risk Diagram is a business enterprise PowerPoint containing 16 slides to present three separate models. 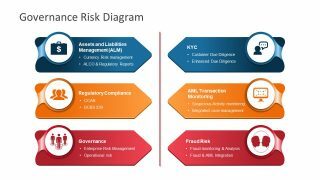 These risk and governance concepts include financial and accounting threats categories. 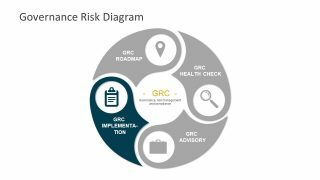 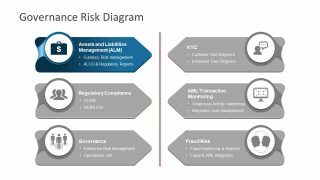 The Governance Risk Diagram template presents three distinct designs for financial risk management. 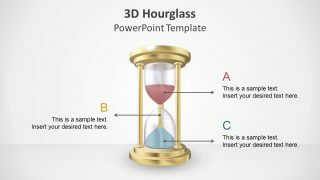 These include cycle process and arrow shape label style diagrams. 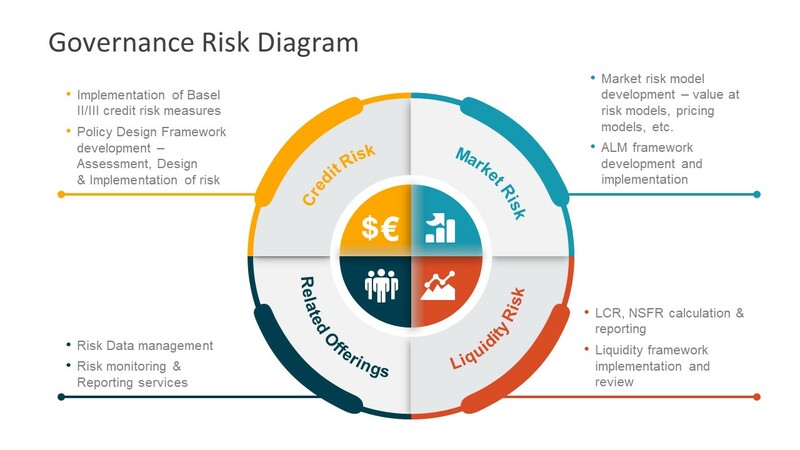 Further, these diagrams contain infographics as a visual representation of risk categories. 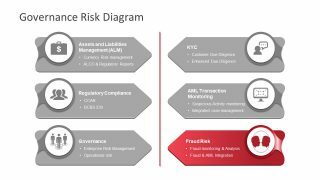 Such as currency, charts, team, groups, location pin etc. 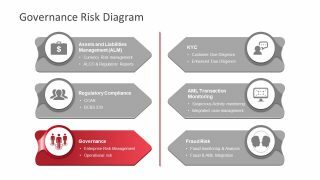 Every business or project is exposed to risks some of which are beyond the control of their management team. 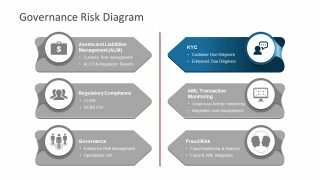 The companies identify and analyze potential risk and their impact, so the management can take necessary measures. 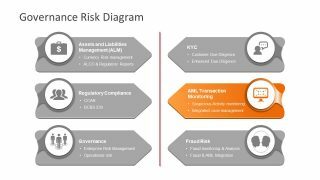 This PowerPoint of enterprise risk management highlight risks which greatly affect the finances of company. 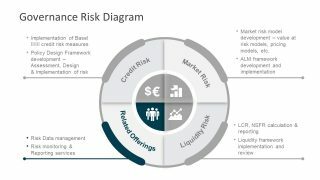 Therefore, this presentation mainly benefits banks and similar institutes like a stock exchange, insurance, and brokers etc. 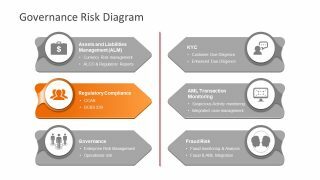 The PowerPoint diagram of governance risk also includes compliance in a third model presentation. 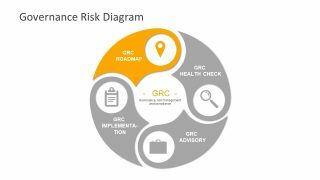 The three diagrams together present a risk governance framework to identify and handle multiple risks. 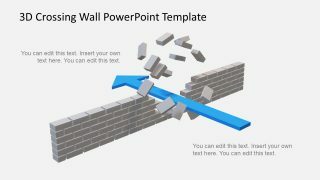 All these diagrams provide textual aid to describe the segments. therefore, academic professionals can use this template as a learning PowerPoint for financial risks. 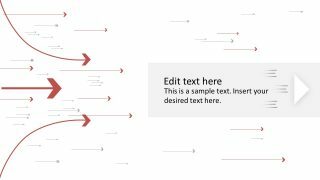 The textual details are available as text placeholder with bullet list points. 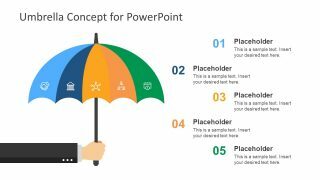 And, users can replace text with the company’s relevant information.